Get rid of the Galaxy S9’s most disappointing feature. Ever since Samsung announced the Galaxy S8 with its onboard assistant, Bixby, people have been asking for ways to disable it and forget the button ever existed in the first place. With the Galaxy S9, that chorus is even louder. While the hardware’s not going anywhere, we can definitely do something about the software. 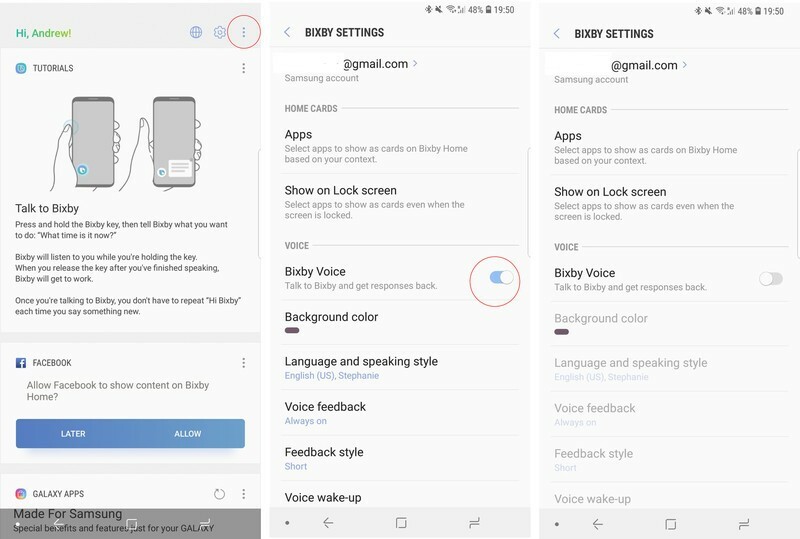 Here’s how to get rid of Bixby Voice and, if you’re using Samsung’s launcher, Bixby Home. 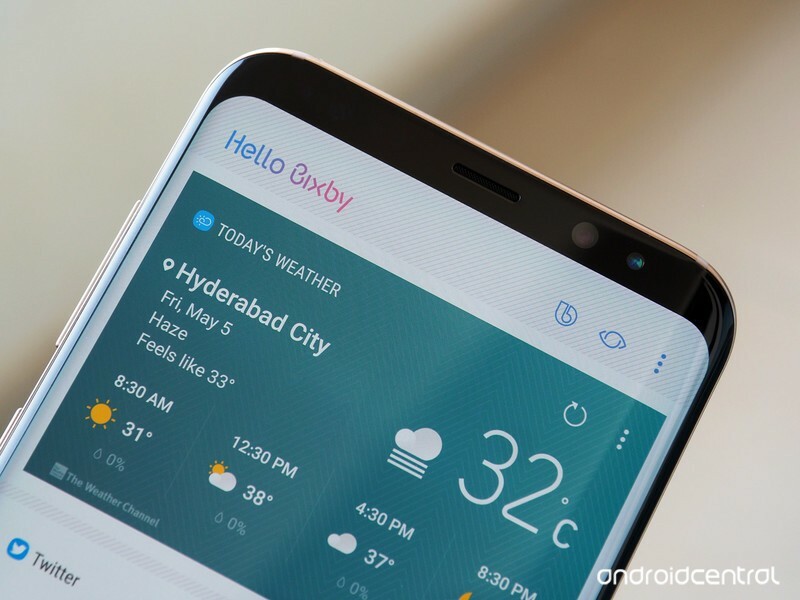 Why do you want to disable Bixby? One of the biggest frustrations with the Bixby button is its placement; the button is right under the volume keys and nearly directly opposite the power buttons. On larger phones like the Galaxy S9+ and Note 8, this often leads to accidental presses and unintended Bixby launches, especially when double-pressing the power button to launch the camera. The Bixby button is also not mappable to another action; Samsung wants you to use it for Bixby, or not at all. This isn’t ideal, so many people will inevitably choose to just forget it exists and move on. Bixby is divided into two distinct categories: Bixby Voice and Bixby Home. Voice is the feature that lets you get stuff done by holding down the Bixby button for a moment, walkie-talkie-style. It’s useful but can get frustrating when it doesn’t work, so you’re going to want to turn it off before you disable Bixby Home (which is accessed by short-pressing the Bixby button). While on the Samsung home screen, swipe right until you get to Bixby Home. Alternatively, press the Bixby button on the left side of the phone, right under the volume rocker. On the top menu bar, tap the three vertical dots. That’s it! Now Bixby Voice won’t bug you when you accidentally hold down your finger on the Bixby button. Next, we have to prevent the Bixby button from accessing Bixby Home. Now that Bixby Voice has been disabled, we have to disable Bixby Home from popping up whenever we accidentally press the side button. Press the Bixby button on the left side of the phone, right under the volume rocker. In the top menu bar, tap the Settings button (looks like three cogs). 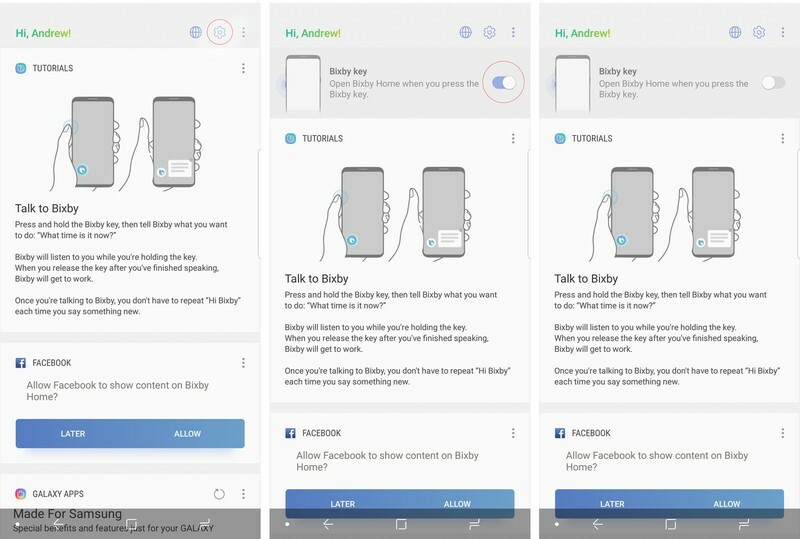 Now, the final step to disabling Bixby entirely is to disable Bixby Home access from the home screen which, by default, puts it on the left-most panel. From the home screen, hold down on empty space until the menu appears. Swipe to the right to reach the left home panel. That’s it! Now neither the Bixby button nor the Bixby Home screen will work and you can move on with your life, Bixby-free. 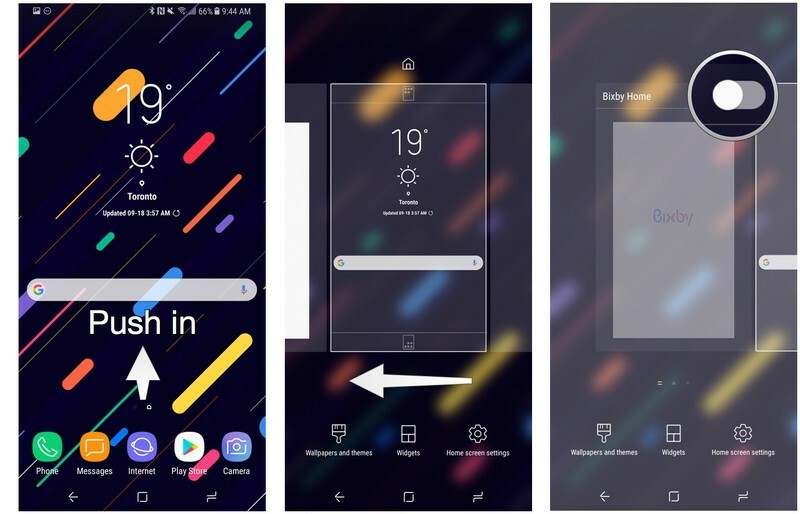 Should you want to access Bixby again, though, you’ll need to follow these steps in reverse, first enabling Bixby Home from the launcher and then the Bixby button from inside the menu. Got any questions about this process, or just want to share your sheer joy at being able to disable Bixby? Let us know in the comments below! 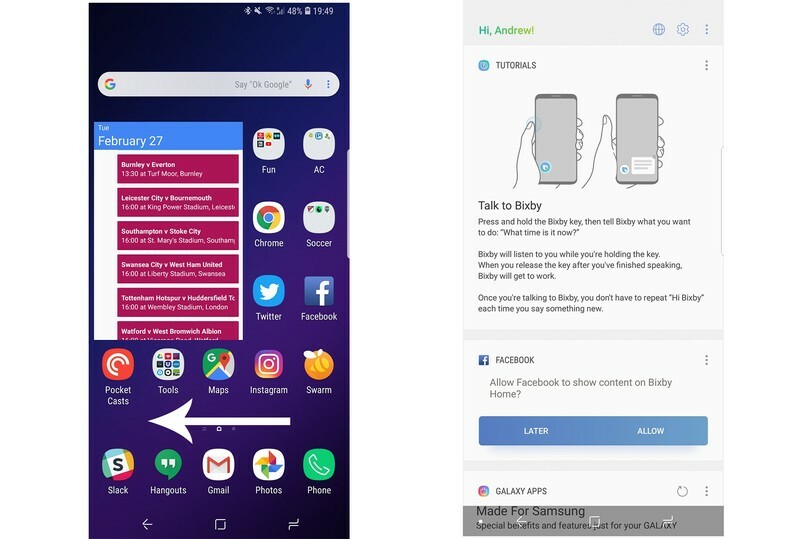 Update June 4, 2018: This article has been verified for accuracy and still shows the best ways to disable Bixby on your Galaxy S8, Note 8, and S9.